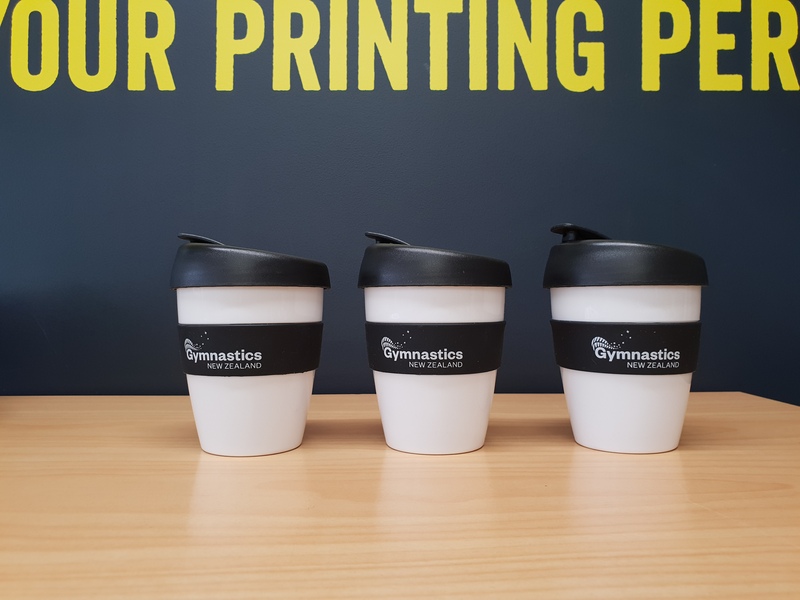 We love how these very stylish black and white reusable espresso cups came up for Gymnastics NZ. These were produced for their National Champs where were held here in Tauranga during the school holidays. Based in Auckland, Gymnastics NZ is the national body responsible for the development, promotion, governance and leadership of gymnastics throughout New Zealand.